A native New Yorker, Marian Massaro, grew up with Broadway minutes away from her front door. Her love of theatre and the arts, developed into on-camera work, which led to her passion for “voiceover.” She’s had several multi-year commercial campaigns, live announces for major award shows, and works with TV and radio stations across the country. She now has her home base in Los Angeles, but bounces back and forth between both coasts. A self-admitted theater nerd, Marian’s VO success helps finance her addiction of all things Broadway and Off-Broadway. Her “never stop growing” philosophy keeps her busy, always furthering her improv and acting skills, enhancing her VO career, as well as life in general. 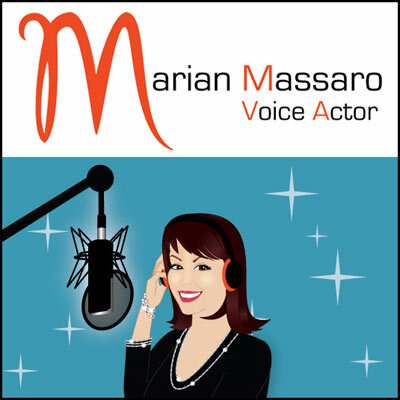 Marian’s a member of SAG-AFTRA, Actor’s Equity, The Television Academy, and The National Academy of Television Art & Sciences.